It seemed to us that this hoster has a lot to choose from, although their list of services looks standard for many similar companies. Datacenter infrastructure and usage of MPLS-protocols allow you to create a GEO-cluster. Initially, basic site administration is offered, but full coverage complete with around the clock monitoring is available for an additional fee. A separate service offered is VPN, running on many operating systems and mobile devices. ПОЛУЧИТЕ СКИДКИ от 5 до 20% на VPS SSD и SSD Хостинг - ПОКУПАЯ УСЛУГИ НА 3,6,12 месяцев !!! What is written about in reviews of Fornex.com most often? I've been using the company's services for several years (VPS), everything is the best! I am completely satisfied with the price policy. Support is beyond words! Responds quickly, the questions are answered exhaustively, and they always help with solving problems of any nature, even if it isn't related to their jobs! My rating is 5 out of 5! Guys are great! Good hosting. Good support. They help with work on my site that other hosts ignore. So keep it up, guys. Good hosting. The price is excellent. You can also return the interest from the purchase through Letitshops, as much as 35%. I have been working with the company for many years. I faced with strange problems with delayed response. It came to that js file was flying to the client for 20 seconds! It's an eternity. Politely they kicked me for two weeks from one tech support specialist to another. Every new specialist did not get acquainted with the previous history of correspondence, although all of it was conducted in one ticket. When I began to lose my temper and quite harshly demanded a more sane specialist, they suspended my account for abuse. There were no direct abuses, but for two weeks I began to boil, I do not argue. In general, the impression that there is no more serious specialist and they are not going to solve the problem of lags. Noteworthy is the fact that after the suspension of the account, from one of the computers where the cookies were saved, I still successfully got into my office. It's terrible to imagine what kind of mess there is with security. Of course, money was not returned. We ordered a standard configuration of their server. They promised to deliver from 1 day to 2 weeks (although absolutely all other competitors deliver servers no later than one business day). As a result, the server was never provided, not even after two weeks. It is difficult to say something about this service, because the service is simply not available to us. But the support answers quickly, they like to talk. It's too bad they like to talk more than they like to work. Hosting - 100% access to the web resource at any time, and high-quality hosting - for the amount mentioned, plus the opportunity for convenient and high-quality technical support, at an affordable price. I got all this from the company Fornex - already the third one in a row I've tried. 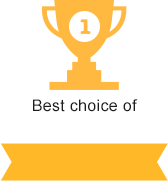 What I like: relatively inexpensive, fast response of technical support via ticketing system on any issues, support for Joomla CMS, money back in case of failures, refund of unused funds for services, Cpanel, and help in moving the site over to their hosting. What I do not like: restrictions on the number of valid files. In general, I'm satisfied with the provider, and if Fornex keeps working the same way, then I will continue to be their client. But support is so-so ... In the evening, forget about it. They transfer the issues for a day (the duty watchman is sitting). There are a couple of static pages on the server - and download is already 80%. What are they even loading? At 512, do not even think about keeping sites on Drupal .. Two units - and already at 100% of downloads. 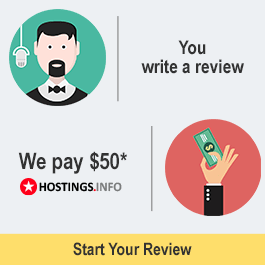 As I said, I will review this hosting company. Support transferred me free of charge to the VPS, previously I chose the price plan. As a result, something was wrong and CPU loaded slow and the site did not work 5 out of every 10 minutes. They explained to me that the load is too high, so I upgraded to the next plan, then there was the same nonsense. At the end I asked them to return my money, and they responded politely, refunding me my money on the same day. In general, it didn't go well, but at least they are honest, that's a good thing. Now I'm thinking about switching to this hosting. I'll try it out and tell you my impressions. I have been using this hosting provider for 2 months - in principle, everything works. A couple of times I had to contact support - they responded quickly. Hosting is stable - sites have not yet failed. When choosing a hosting, the location of its DC in Frankfurt played an important role - I think that European companies are more stable.